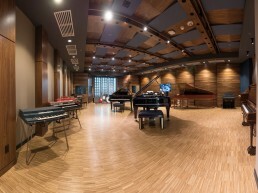 Studio Bell - National Music Centre | Pilchner Schoustal International Inc. 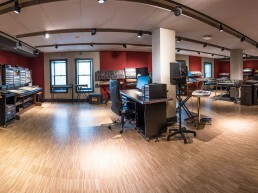 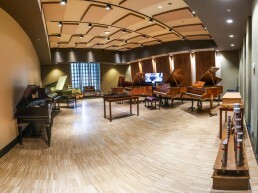 Studio Bell – National Music Centre is a large museum facility that houses an extensive collection of musical instruments, a performance centre, workshop, exhibits and recording studios. 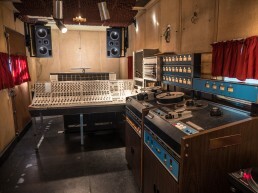 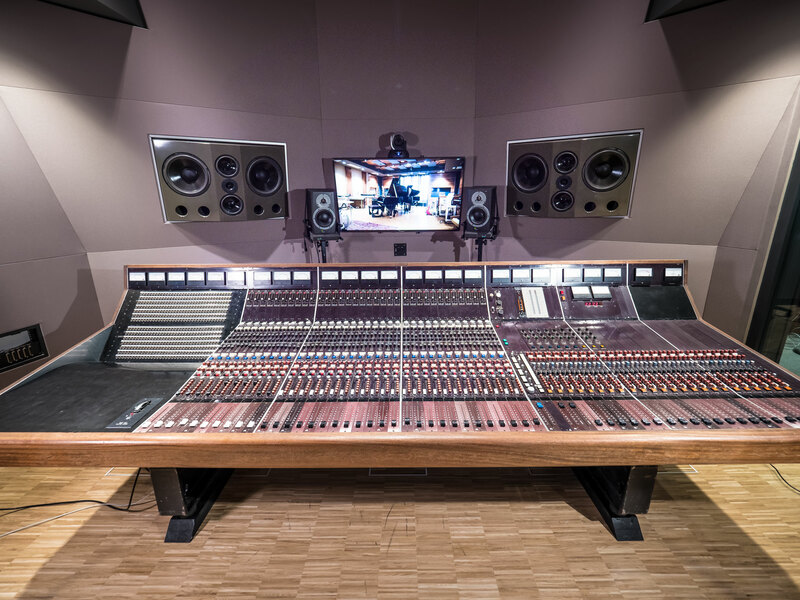 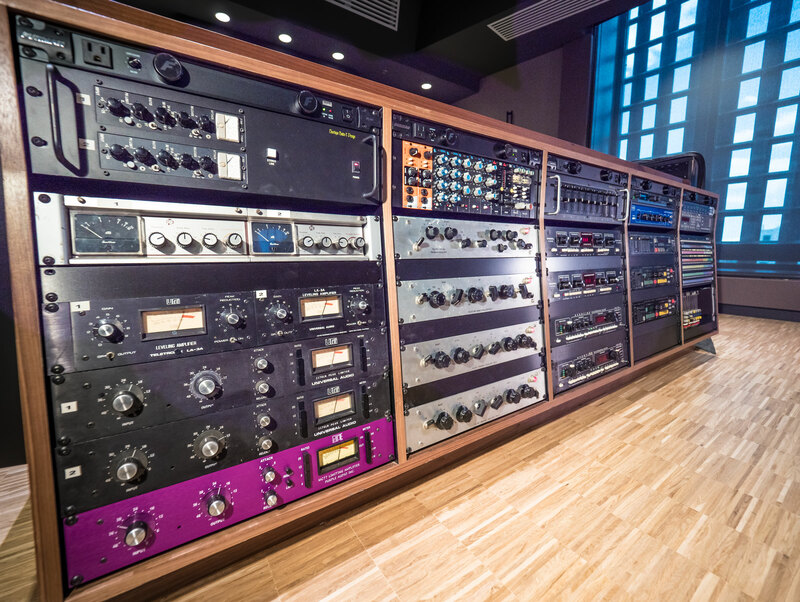 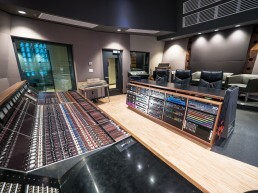 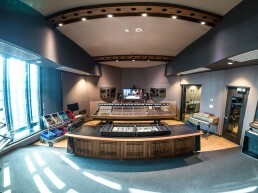 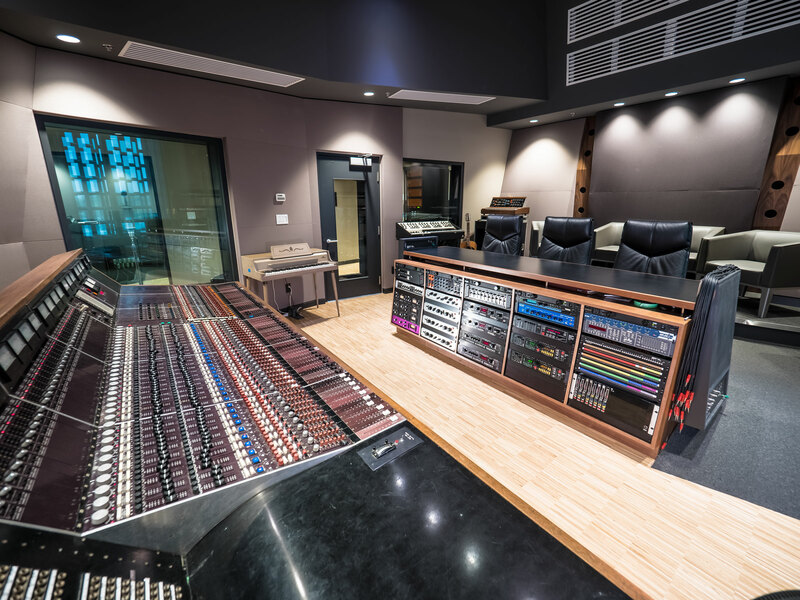 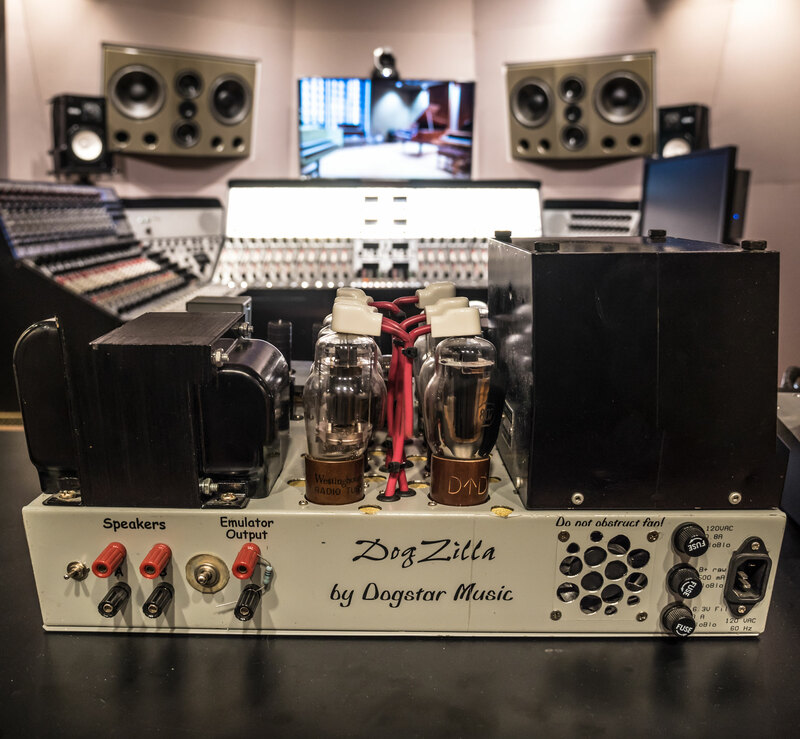 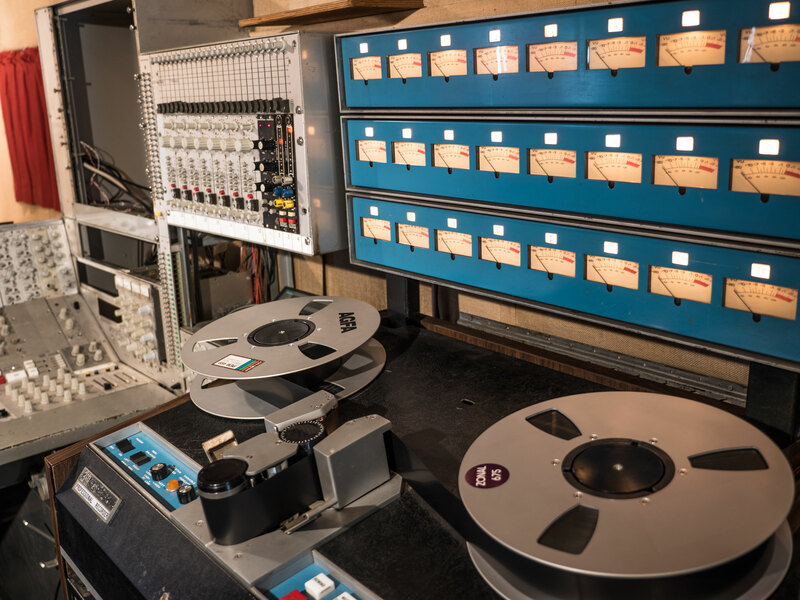 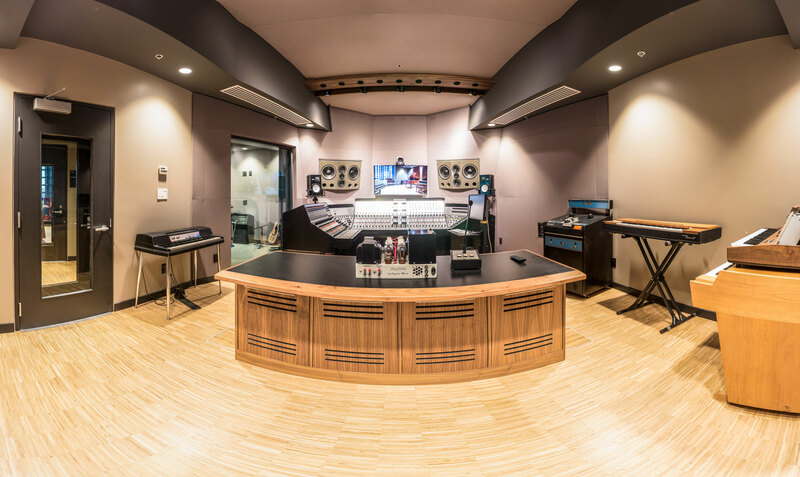 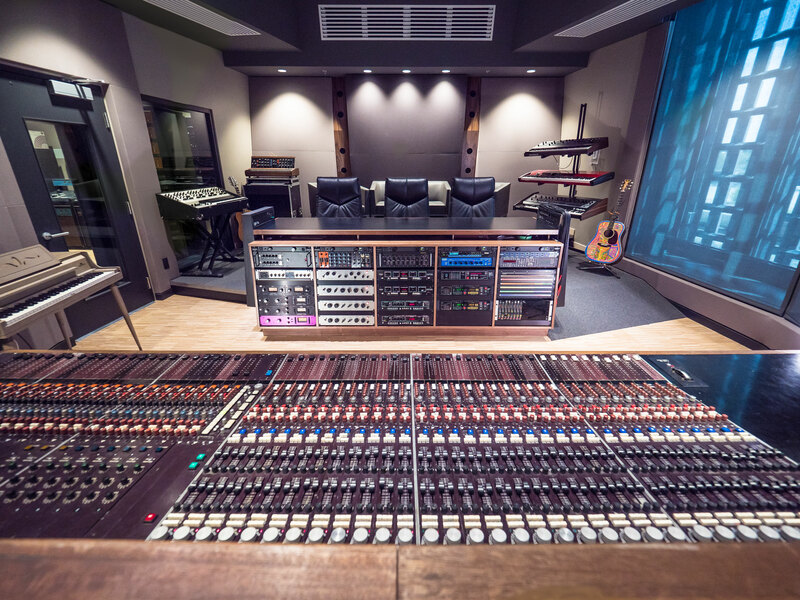 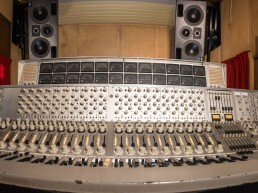 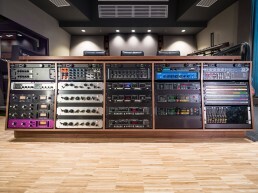 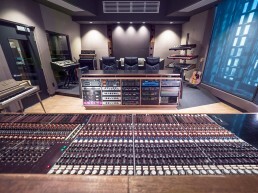 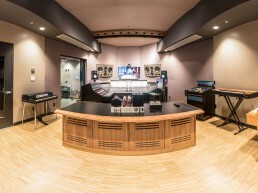 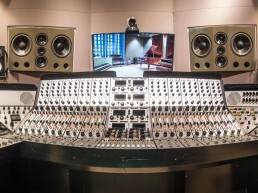 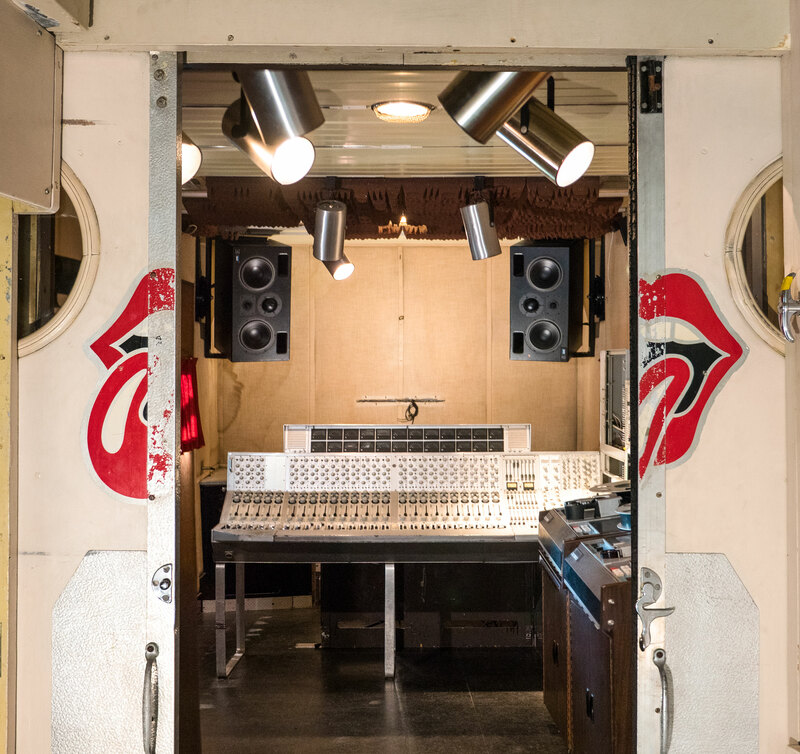 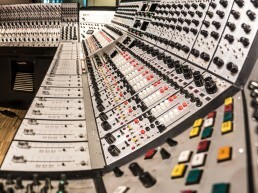 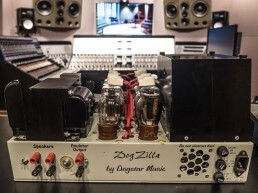 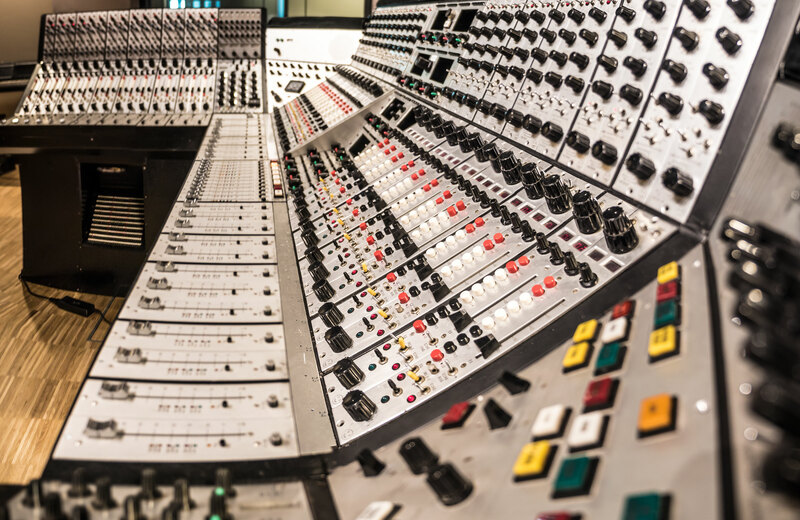 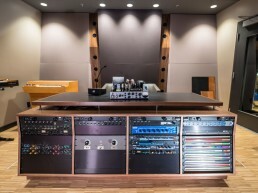 The recording studio facilities were designed by Pilchner Schoustal to incorporate legacy recording equipment including the original Olympic recording console, a Trident A range console, and the fully restored Rolling Stones Mobile studio. 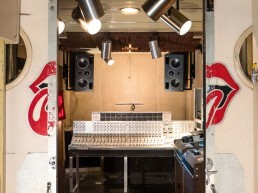 The studios are split on many levels of the building an include an electronic instrument lab with an extensive synth collection, a main large studio proper, a dedicated acoustic studio with vintage pianos and keyboards, a large control room with a Trident A range, a smaller control room with the Olympic console, a dedicated isolation booth, and the RSM (Rolling Stones Mobile). 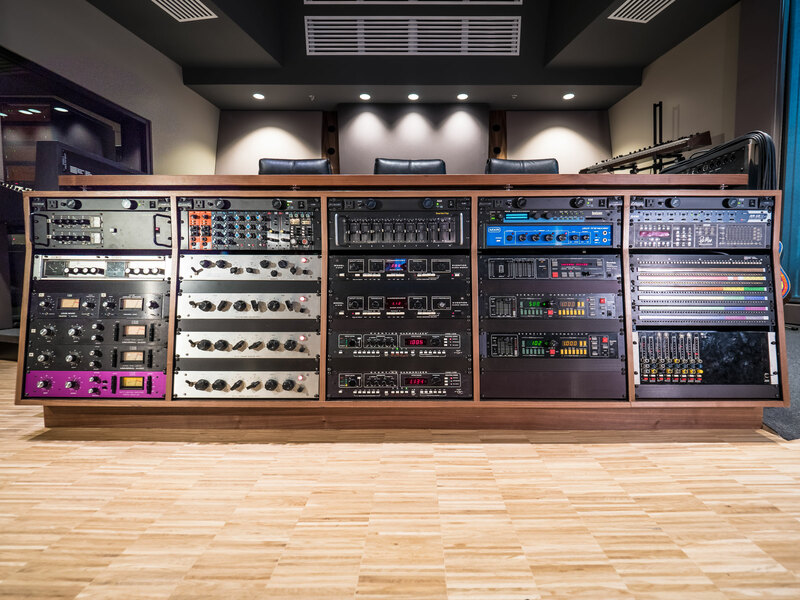 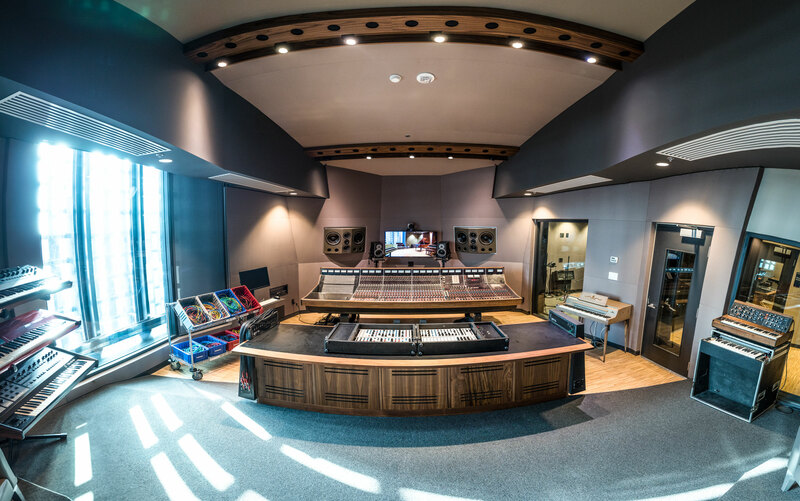 All of the production spaces are tied together with an extensive analog and digital network that all the spaces to work together in any configuration. 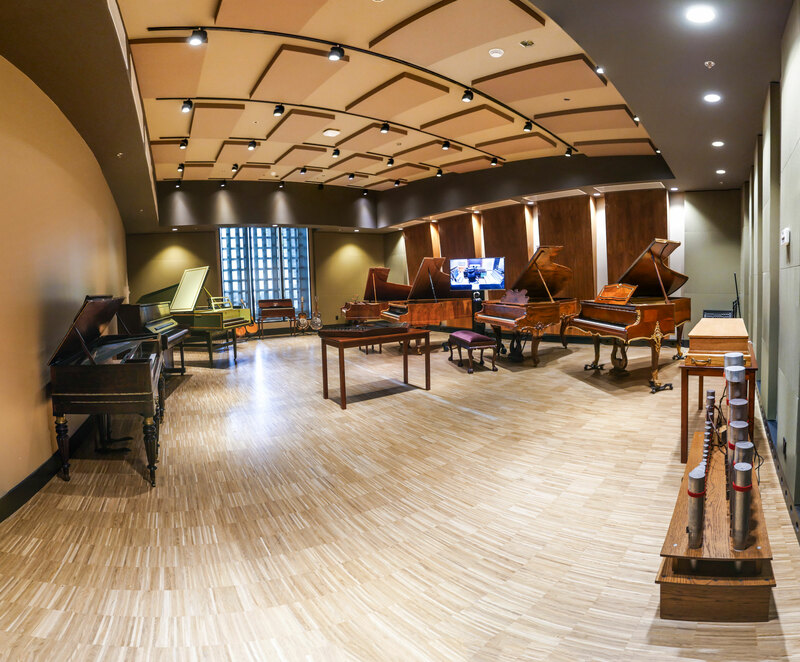 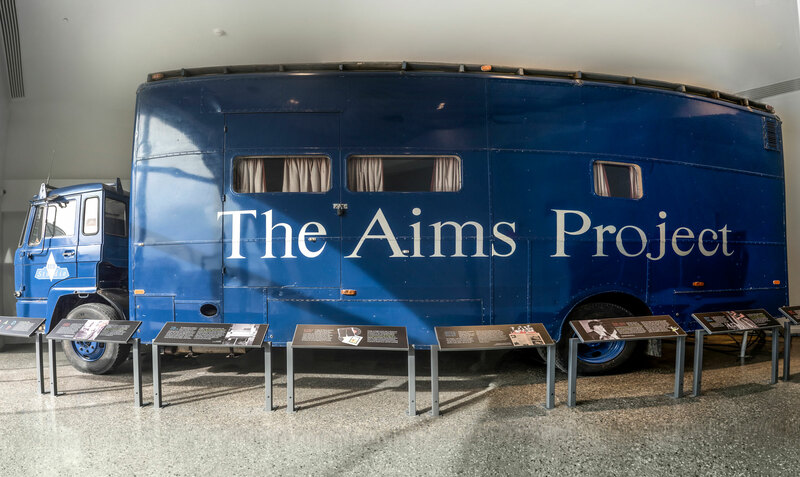 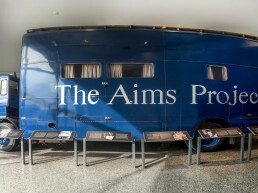 The facilities were realized to service their “Artist in Residence” program, where an artist can select museum artifact instruments and bring them into the studio spaces for the purpose of creating new music. 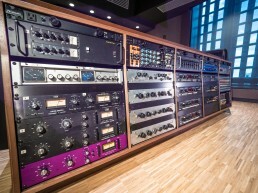 This idea of “working collection” has been a hallmark of the NMC since its inception. 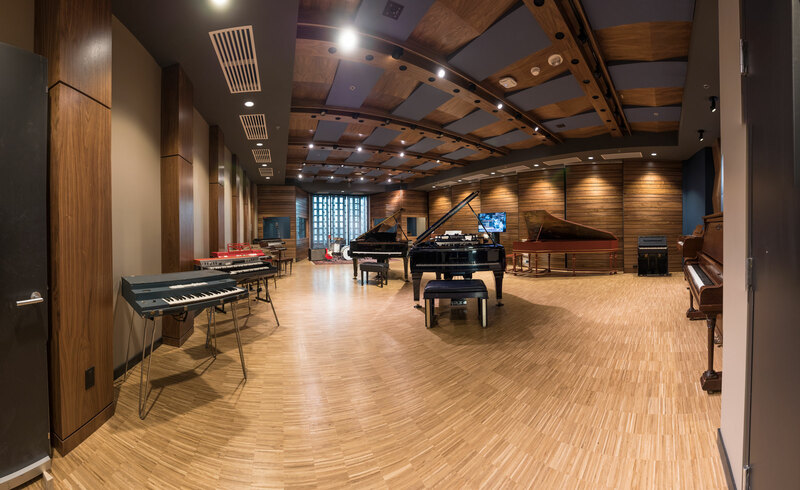 The stunning architecture of the main building was conceived by Allied Works Architects of Portland Oregon.